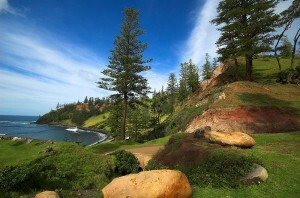 Norfolk Island is an Australian Dependency, located at 28 deg. 58 min S., 168 deg. 03 min E. Consequently is about the same latitude as Lismore, NSW and several hundred kilometres east of the Australian coast, making it nearer to New Zealand than Australia by air. It sets its time 1 ½ hours ahead of East. Its area is 34 square kilometres and it is quite undulating with peaks 318 metres high. The population is mainly descendants of the Pitcairn Islanders who moved there in 1856 at the order of Queen Victoria. The currency is Australian but the Island has its own laws and government, and is administered by an Administrator. 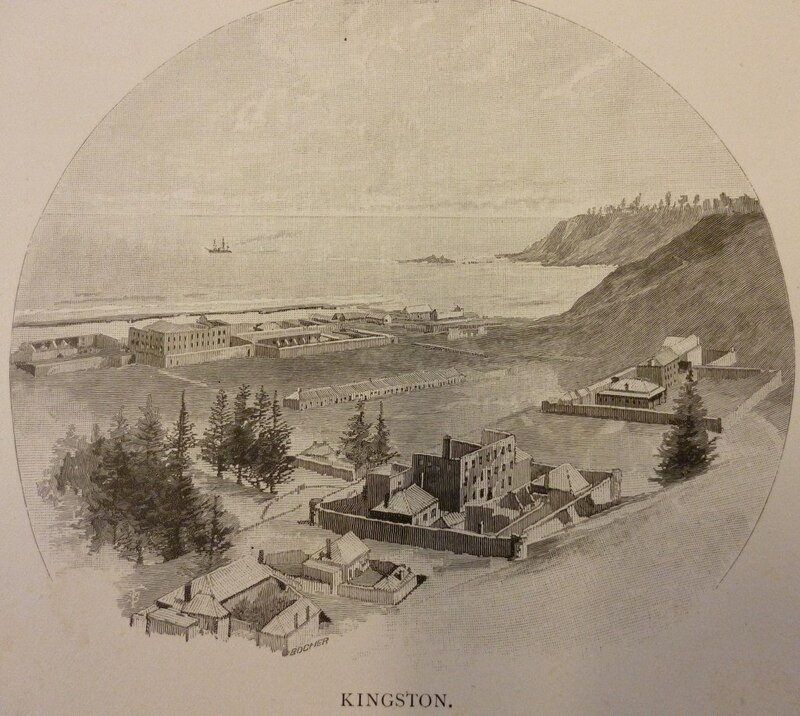 The principle place of interest from a historical point of view is the settlement of Kingston, on the south of the Island, where most of the old buildings from the second settlement are sited and the government is conducted. There have been three distinct periods of occupation since 1788. The first, commencing soon after the Foundation, was the establishment of a penal colony under the command of Lieutenant King, which was subsequently abandoned in 1814. 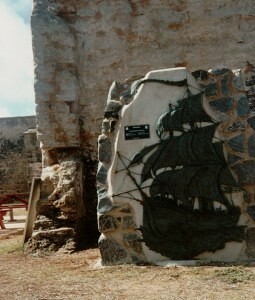 The second settlement in 1835, was the establishment of a penal colony for recalcitrant convicts, who were subject to inhumane and hash treatment and this lasted until 1855. 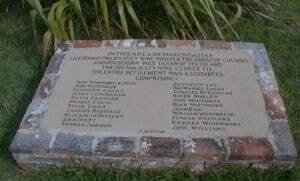 The third settlement commencing on 8 June 1856 was the arrival of about 200 descendants of the mutineers led by Fletcher Christian, who challenged Captain William Bligh on the Bounty. As mentioned above the current settlers are principally descendants of these settlers. 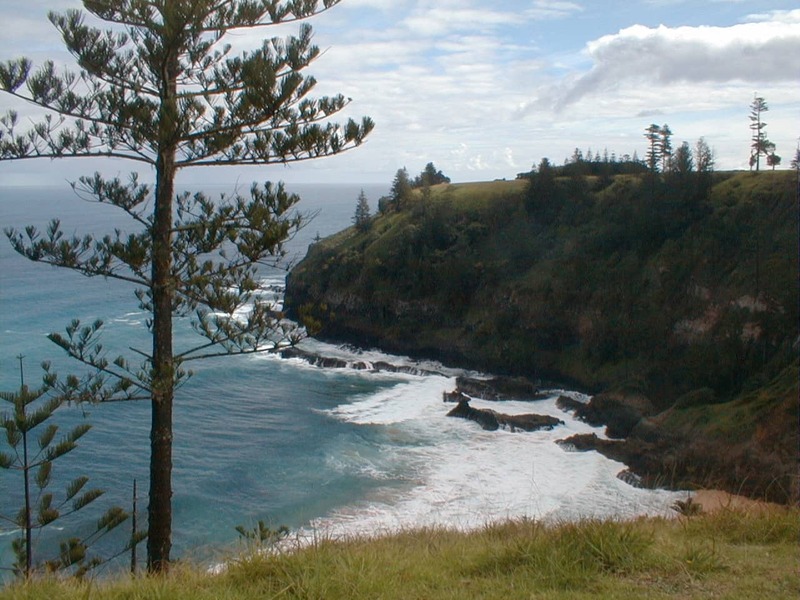 Captain Phillip’s instructions from King George 111 contained this passage – Norfolk Island ….being represented as a spot which may hereafter become useful, you are as soon as circumstances will admit of it, to send a small establishment thither to secure the same to us, and prevent it being occupied by the subjects of any other European power. On 15 February 1788, the armed tender Supply, commanded by Lieutenant Henry Lidgbird Ball, left Sydney Cove for Norfolk Island. Governor Phillip chose Lieutenant Philip Gidley King as commander of this expedition. The ship’s surgeon chose six female convicts whose characters stood fairest. Nine male convicts and seven free men were chosen whose ages ranged from 16 to 72 years. The expedition received their first sighting of Norfolk Island at 11am on the 29 February. For the next six days, they circled the Island, looking for a place to land. At daybreak on 6 March, King left the Supply with two boats, containing all the men of the new settlement, tents, tools and some provisions and landed through a passage through the Reef at Sydney Bay. Lieutenant King’s Journal – The 25th being Christmas-day, it was observed as a holyday. The colours were hoisted at sun-rise: I performed divine service; the officers dined with me, and I gave each of the convicts half a pint of rum, and double allowance of beef, to celebrate the festival: the evening concluded with bonfires, which consisted of large piles of wood, that had been previously collected for the occasion. Spring tides were now at the height, and I sent every person on the 26th to Ball-Bay to make the cut deeper, and to clear away some stones which were washed into it. The wheat which was sown the latter end of August, was reaped on the 29th, and the Indian corn was nearly fit for the sickle. Thomas Jamieson: Surgeon’s First Mate (Sirius) was on Norfolk island from 1788 until 1799 (not continuous) looking after the medical needs of the people on the Island with John Altree After being discharged from the books of Sirius he was appointed surgeon in the colony at Norfolk Island. Leaving the Island he took a years’ leave in England. 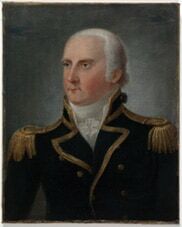 On his return to Sydney in 1802 he became Acting Surgeon General of New South Wales in the absence of William Balmain. His partnership with Elizabeth Colley produced four children. John Turnpenny Altree: Assistant to the Surgeon (Lady Penrhyn) to Thomas Jamison for approximately three years. He returned to England in 1791 by Waaksamheid with the crew of the shipwrecked Sirius. He received a payment of £12 pounds for his work on Norfolk Island. John Batchelor (Sirius) was a private marine 55th (Portsmouth) Company. 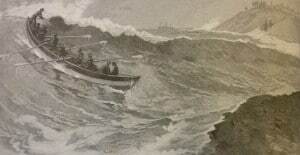 He drowned from a fishing boat on 15 June and King buried his body near the flagstaff. Batchelor’s wages were paid to his father. Charles Herritage/Heritage (Sirius) was a private marine 55th (Portsmouth) Company. He decided to stay as a settler on the Island and was discharged from the books of Sirius on 7 March 1791. He left Norfolk Island by Sugar Cane for Bengal in 1793 after selling his 60 acres of land to Thomas Restell Crowder for £60 pounds. Roger Murley/Morley (Sirius) was an able seaman but was brought to Norfolk Island for his skills as a weaver. The flax that Captain Cook wrote about was his main task but they were unable to locate the flax amongst the dense vegetation. In 1789 he was made constable and in 1791 was a storekeeper. Morley left the Island by Supply to embark with the Sirius crew members on Waaksamheid to England in March 1791. James Cunningham (Sirius) midshipman was lent from Sirius to Supply with the first group to settle Norfolk Island. On 6 August Cunningham was sent to give assistance to Supply on her first visit to the Island after the original landing. Heavy surf was running and the boat overturned drowning him, William Westbrook, John Williams and able seaman off Supply Laurence Tomlinson. Cunningham’s wages were paid to ‘the Right Honourable Elizabeth Countess Dowager of Glencairn’. William Westbrook (Sirius) was an able seaman and sawyer from Fareham, Hants. He drowned on 6August with James Cunningham, Laurence Tomlinson able seaman off Supply and John Williams convict. His wages were paid to his brother Edward. John Williams/Floyd (Scarborough) drowned in the boating accident on 6 August with able seamen William Westbrook, Laurence Tomlinson, and James Cunningham. Williams’ body floated ashore on the 13th and was buried. Charles MacLauglin/McClelland (Alexander) was 14 years old when convicted and sent to the Ceres Hulk for stealing a purse full of money. While on the Island he received lashings for stealing eggs and rum from the surgeon’s tent. He sustained a fractured skull while chopping wood, recovered, and for stealing potatoes was sent to Nepean Island in irons, on short rations, for four week. McClelland had left the Colony by January 1793. Nathaniel Lucas (Scarborough) Being a carpenter by trade he became a valuable asset in the community and was also a successful farmer with a land grant. He married Olivia Gascoigne and they had 13 children, loosing twins in an accident caused while clearing trees near his house. The Lucas family were settled in Port Jackson by the early 1800s. His craft in building many of Sydney’s fine heritage buildings is well known today. Edward Garth (Scarborough) Tried at the Old Bailey for stealing two cows; the sentence of death was later reprieved for seven years transportation to Africa. From the Ceres Hulk he was sent to Portsmouth for embarkation on Scarborough. As a successful farmer on the Island, he cultivated life stock and grain on his land grant. In 1793 he was elected a member of the Norfolk Island Settlers Association. Married to Susannah Gough they raised six children on the Island, before leaving in 1807 aboard Porpoise for Van Diemen’s Land. The Garth family lived on lands at Clarence Plains and Queensborough. Noah Mortimer (Charlotte) was sentenced to seven years transportation for his involvement in the two counts as his father John and Edward Westlake. When he departed the Island with his wife Mary Cottle, their son and father John aboard Lady Nelson in 1808, he left behind nearly 56 acres cleared, buildings, a barn and a shingled roofed house, valued at £40 pounds. Edward Westlake (Charlotte) was 34 when he went aboard the Dunkirk Hull after receiving seven years for his involvement with John and Noah Mortimer. Although he left a family in England he had eight children with Elizabeth Wood (Neptune 1790). Westlake was a successful farmer on the Island and at the time the family departed in 1808 for Van Diemen’s Land by City of Edinburgh, he left buildings valued at £20 pounds and 22 of his 82 acres cleared. John Rice (Charlotte) was sentenced to be hung for house breaking and stealing valuables, but was later reprieved to seven years transportation. A rope-maker, he became one of the convicts most trusted by Commandant King. He was a successful farmer on the Island and was still there when the 1805 Census was taken. Richard Widdicombe (Charlotte) was sentenced to seven years transportation for theft of a wooden winch and other goods. On the Island he was subsisting himself on an acre lot and sharing a cow. As he had no intention of becoming a settler he left the Island in 1793 aboard Chesterfield bound for Sydney before sailing to India. Olivia Gascoigne (Lady Penrhyn) following a seven year sentence for stealing goods from a dwelling house Olivia was held with Ann Inett in Worcester gaol until ordered to Southwark gaol, before being dispatched to Gravesend. Bowes gave her age as 24 and her occupation servant. On the Island she married Nathaniel Lucas and had 13 children before returning to Port Jackson in 1805. After Nathaniel’s death in Sydney she went with six of her surviving children to Van Diemen’s Land, settling on 100 acres in Port Dalrymple. Susannah Garth/Gough (Friendship and Charlotte) was tried at the Old Bailey in 1783. Sentenced to seven years transportation, Susannah was aboard the Mercury transport when mutinous convicts had taken control of it. She scrambled down the side of the ship with 65 other convicts and while trying to get to shore was taken aboard Helena and then committed to the Exter gaol. Spending six months on the Dunkirk Hulk Susannah was discharged to Friendship. Married to Edward Garth on the Island, they had several children before leaving for Van Diemen’s Land aboard Porpoise. While living in Van Diemen’s Land, aged 71, she stated on oath that she was the first woman ashore on Norfolk Island. Elizabeth Colley (Lady Penrhyn) had a fourteen year sentence, the longest of the entire group, for receiving stolen goods. Aged 21 when delivered to Lady Penrhyn in January 1787, she gave birth to a stillborn boy six months later. 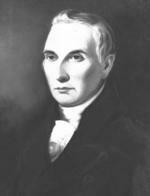 Children born to Elizabeth on the Island are thought to be fathered by Thomas Jamison. On 1 August 1797 she received a ‘conditional pardon’ and in 1801 she was marked gone to England – possibly with Thomas Jamison when he returned on a years’ leave. Elizabeth Lee/ Lees (Lady Penrhyn) was aged 23 when sentenced to seven years transportation at the Old Bailey for stealing a large quantity of wine and spirits and numerous other articles. On the Island she was an independent woman supporting herself by growing and selling her produce to the stores. She left Norfolk Island by Chesterfield in April 1793. The ship sailed to Port Jackson, then back to Norfolk Island and on to Bengal presumably with Elizabeth aboard. Elizabeth Hippesley/Hispley (Lady Penrhyn) was 28 when sentenced at the Old Bailey for the theft of articles from a master butcher she had persuaded to go with her to her loadings. On 30 January 1788 Surgeon Bowes recommended her as one of the six women to be sent to Norfolk Island having uniformly behaved well during the whole of the voyage. Elizabeth was an independent woman supporting herself by growing and selling her grown produce to the stores on land at Sydney Town. She married marine settler Robert Stephens in 1794 before they returned to Port Jackson. Stephens joined the NSW Corps and following his soldering career returned to England with Elizabeth and their son in 1810 on HMS Dromedary. 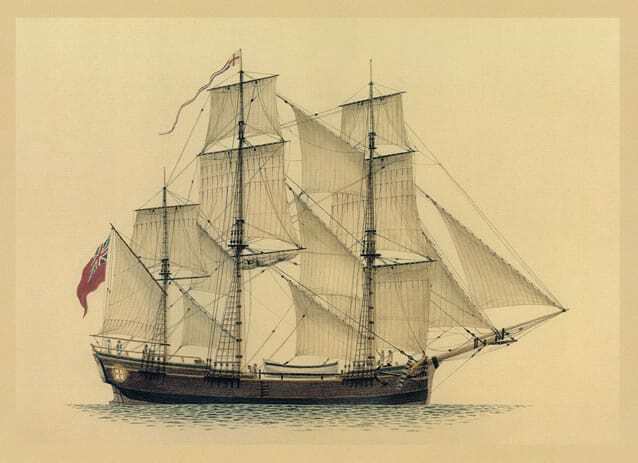 2nd October – The Golden Grove sailed for Norfolk Island, with a reinforcement of male and female convicts; two free men, as gardeners; a midshipman from the Sirius to fill up the vacancy occasioned by the death of Mr Cunningham; a sergeant, corporal, and six privates; and a supply of necessaries for eighteen months. On Thursday 2nd October Daniel Southwell able seaman entered his diary: the Golden Grove stood out at day break. At 6, weighed with a fine breeze. We took out depart from the entrance to Port Jackson. DUKES Thomas – remained on the Island until March 1791 – returned and received a 60 acre grant at Arthur’s Vale – was selling grant to stores by 1793. He left the Island and joined the NSW Corps on 6 May 1793. 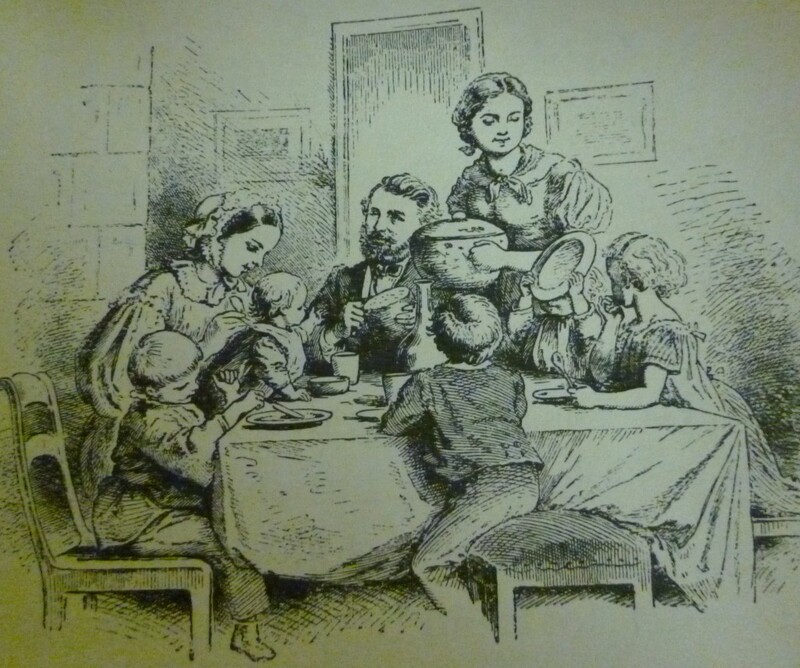 KING Samuel – settled on the Island and lived with Mary Rolt. 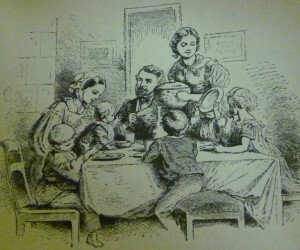 Married in 1807, but not to Mary Rolt; he farmed until 1808. Without a wife or child, Samuel left the Island for Van Diemen’s Land on City of Edinburgh. WIGFALL Samuel – returned to Port Jackson in February 1791 and his duty with the NSW Corps, turning to Norfolk Island during the following years on various vessels until he was discharged from the Corps in 1797. 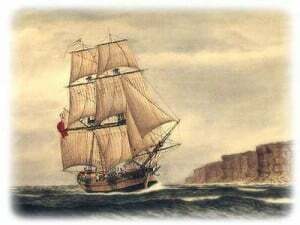 WILLIAMS James – returned to Port Jackson in February 1791. Deciding to become a settler he returned to the Island and was granted 60 acres of land at Phillipsburg. In 1792 and back in Port Jackson he rejoined the NSW Corps, discharged himself then rejoined, serving a total of 26 years until the NSW Corps was withdrawn in 1810. WILLIAMSON John/James – Worked on the Island as a Smith. Returned to Port Jackson in February 1791 – returned to England and was discharged at Deptford in May 1792. GOWEN John – Corporal 47th Portsmouth Company (Sirius) Returned to Port Jackson February 1791, but later returned to settle in October 1791. A year later he returned to Port Jackson. DONOVAN Stephen – Second Mate (Alexander) Donovan was given the job of exercising some of the free people in the use of muskets each Saturday. Was commended for his behaviour, when at the risk of his life, he helped save the ship’s company after Sirius was wrecked in March 1790. LIVINGSTONE John – Ship’s Carpenter (Sirius) Returned to Port Jackson February 1791 and was appointed master carpenter in Sydney. SMYTH (SMITH) Thomas – Corporal 26th Portsmouth Company – Left the Island in May 1791. He was promoted provost marshal by Governor Hunter and received several grants of land at Bulanaming in 1794-95. Following his death in 1804, he was given an official funeral at Sydney with military honours. ALLEN John (Alexander) Returned to Port Jackson in early December 1789. ANDERSON John (Charlotte) was employed to help John Altree and Thomas Webb at Ball’s Bay. With his wife Elizabeth Bruce and child was subsisting on a one acre allotment at Sydney Town. BLACKHALL William (Alexander) was supporting two persons on a one acre lot at Sydney Town. He shared a sow with Ann Yeoman and a pig with Joshua Peck and Mary Frost. BRYANT John (Charlotte) had married Ann Coombes in Port Jackson. On 28/7/1789 he was killed by a falling tree. DAVIS James (Scarborough) had married Martha (Patience) Burkitt in Port Jackson. In July 1791 he was subsisting three persons (his wife and a Mary Fowler) on a one acre Sydney Town lot with 120 rod cleared. DRING William (Alexander) Ralph Clark called him the greatest Rascall living – spent time on Nepean Island in irons. By end of 1792 was selling grain to the government from a small allotment. Then living with Ann Forbes, they both left the Island on Daedalus in 1794. DYER Leonard (Alexander) received four dozen lashes for Mutinous Expressions & daring language to Mr Donovan. By July 1791 he was subsisting on a one acre lot, with 133 rod cleared. FRANCIS William (Alexander) proved to be in every respect a worthless troublesome Wretch. Was victualled as a prisoner in 1802 after having stowed away and rescued at Dusky Bay New Zealand – died on Norfolk Island in January 1804. HUMPHRIES Henry (Charlotte) in July 1791 was maintaining himself on a Sydney Town lot and sharing a nine month sow provided by the Government with Widdlecombe and James Nowland. He was recorded as being off stores at Port Jackson, in October 1795. HUSSEY Samuel (Friendship) quickly developed a garden and by 1791 was appointed a constable. Hussey continued to do well on the Island. With a wife and servant went to Van Diemen’s Land on Lady Nelson. Within six months of arrival he inexplicably committed suicide by hanging. JONES Thomas (Friendship) was settled on six acres near Cascades. Left the Island by Kitty for Port Jackson in 1793 – received a 30 acre grant at the Eastern Farms. LONG Joseph (Alexander) received twelve lashes for being absent from work and a further hundred lashes for lending shoes he has been to mend. On 15 June 1793 he was dead on the Island. MARNEY/ MARINER William (Scarborough) was subsisting himself at Sydney Town with 143 rods cleared. He left the Island by Chesterfield and the colony by Britannia in June 1794. PECK Joshua (Scarborough) was subsisting two persons at Sydney Town with 106 rod cleared and ten rods of timber felled. Left the Island in 1793 and took up farming in Prospect Hill. Returned to the Island; when he left with a wife and six children for Van Diemen’s Land by Porpoise in 1807, he had owned a 25 acre farm with live stock. PIGGOT/PICKETT Samuel (Charlotte) was involved to take a plot to take over the Island. Was held in irons until forgiven, then ordered to work in light irons – after which he was subsisting two persons at Sydney Town. Left the Island in 1792 and by 1794 had received a grant at the Hawkesbury. PRICE John (Alexander) was supporting three persons on a Queensborough lot with 65 rods cleared. Left the Island and his wife in 1793 and did not return. RICHARDSON James (Alexander) was supporting two persons on a two acre lot with 64 rods cleared, sharing with Susannah Trippett. In 1806 James and Sarah departed for Port Jackson. ROBINSON Joseph (Alexander) served as coxswain of the coble (a kind of fishing boat) and in July 1791 was subsisting two, on a one acre Sydney Town lot with 90 rods of timber felled. In September 1792 Joseph left the Island by Atlantic for Port Jackson. SMITH Edward (Scarborough) he was one of four young single men “used to the sea” – kept on board the ship to unload stores. In 1791 was subsisting himself on a one acre lot at Sydney Town, with 31 rod cleared. In 1795 Edward departed the Island by Fancy for Port Jackson. THOMPSON, William (Scarborough) earned 50 lashes for stealing corn from gardens and in July 1791 he was subsisting two persons on a one acre Sydney Town lot. As a single man, in 1808, William was aboard the City of Edinburgh for Van Diemen’s Land. WATSON, Thomas (Charlotte) was one of the men “used to the sea”. As a troublesome person he received numerous lashes, was in irons and confined, but granted an amnesty for the King’s Birthday. By July 1791 was on land at Sydney Town. He left the Island for Bengal by Chesterfield in May 1793. ANDERSON/HENDERSON Elizabeth (Lady Penrhyn) arrived on the Island as Elizabeth Henderson. Was instrumental in warning Commandant King of a plot in progress by the ringleader William Francis, to overpower him and the marines, and to take the next ship arriving on the Island and sail to freedom. Back in Parramatta by September 1791 Elizabeth married Robert Webb. In September 1800, and by then a widow, she disembarked at Portsmouth as a passenger. BRUCE/ANDERSON Elizabeth (Lady Penrhyn) had married John Anderson in Sydney Cove on 16/3/1788. Arriving together she was later recorded with three children and living with John Anderson settler. Anderson having died or deserted his family after 1794, Elizabeth Bruce went to Van Diemen’s Land by City of Edinburgh in 1808 as the wife of Francis Flexmore and her five children. BURKITT/DAVIS Martha (Lady Penrhyn) had married James Davis in Sydney Cove on 13 February 1788. Arriving together she was living with him until James left the Island in 1792. By mid June 1794 Martha was living with a James or John Davis. Martha left for Port Jackson in January 1802 by Harrington as a free woman. CARROLL Mary (Lady Penrhyn) at Sydney Cove had married John Nicholls on 24/3/1788 – he did go with her. By June 1794 she was living with William Thompson – she was ordered returned to Port Jackson on 26 June, and left by Francis in July. COLE/MARSHALL Elizabeth (Lady Penrhyn) made an unfortunate marriage to Joseph Marshall in Sydney Cove – at her request they did not live together. She embarked on the Island as Marshall. Elizabeth returned to Sydney Cove by Kitty in March 1793 and it is thought that she left the colony in 1793 by Britannia. COOMBES/BRYANT Ann (Charlotte) had married John Bryant in Sydney Cove on 17/2/1788. Arriving together she was distraught after losing her husband and worried about her future support. For stealing provisions to survive, Ann received numerous lashings. She then found a protector with James Bryan Cullen but he later deserted her. In 1811 she is shown in records to be in Van Diemen’s Land. DUTTON Ann (Lady Penrhyn) received 48 lashes for being drunk and noisy. Left the Island by Chesterfield in March 1793, but later returned. EARLY Rachael (Friendship) had married John Price in Sydney Cove on 1 June 1788. It is not clear whether Price was the first man to die on the Island else left by Chesterfield in 1793. Rachel had a child by Private Samuel Marsden and left with him by Francis in 1794. Separating from Marsden, Rachel returned to the Island with the child. She died in Van Diemen’s Land in 1842 and was buried in Rokeby. GABEL, Mary (Lady Penrhyn) received numerous lashings for theft – informed King incorrectly that her sentence was expired, and with no records to confirm the statement, she was free to work for the Crown or other Norfolk Island people. Left in November 1794 by Daedalus for Port Jackson and was later recorded as housekeeper to George Wilkinson. ROLT Mary (Prince of Wales) was living with Private Samuel King in June 1794. Left the Island by Britannia in October 1796 direct for England – there is a suggestion that she went back to England as servant to the wife of Lieutenant Governor PG King. TRIPPET Susannah (Lady Penrhyn) was living with James Richardson while on the Island. Both left in September 1792 by Atlantic for Port Jackson – she was still with Richardson in 1806 with no children recorded. By the time Governor Phillip departed for England in December 1792, Norfolk Island had a population of more than 1000 convicts. Former Marines, who had left the service and taken up land, conducted much of the agriculture. 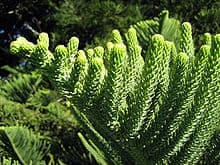 An article appearing in the Journal of Australian Garden History (September/October 1995), written by Allan Correy tells us something of the history of the Norfolk Island pine tree. Although we see many growing around our coastline and in public parks, to those of us who have visited the island, these stately pines on Norfolk Island have a special place in our affections. Following is a summary of Allan Correy’s article. The Norfolk Island Pine was one of the first introduced species into the new settlement. Captain Arthur Phillip brought with him from England, seeds and cuttings of plants essential to the self-sufficiency of the colony – cereals, fruit and vegetables. Oaks and myrtles were obtained in Cape Town, probably for sentimental reasons, being a purely decorative species, reminding the colonist of ‘home’. Captain James Cook was first to observe the Norfolk Island pine on his second voyage of discovery in 1774, recording that the species, endemic to Norfolk Island, would make excellent ship’s masts because of the tall tapering trunks. Governor Phillip was instructed to establish a colony on the Island in order to exploit this resource, although it was later discovered that the pines, being softwood were not suitable. Lieutenant Philip Gidley King, when he established a settlement on the island in March 1788 was impressed by the pines and sent seedlings back to the settlement at Port Jackson where the Norfolk Island pine soon became one of the most fashionable ornamental plants and was widely planted. It appears in many of the early sketches and paintings of NSW, perhaps the best known of these illustrations is the water colour by Augustus Earle of Sydney’s first Government House painted in 1828. Later as Governor of NSW from 1800-1807, King and the botanist George Caley established an important collection of living plants at Government House, Parramatta, probably including Norfolk Island Pines. Living plants were also sent to Sir Joseph Banks in Kew in 1793 and the species soon became popular as a conservatory plant in England and Europe, being too susceptible to frost to be grown in the open. 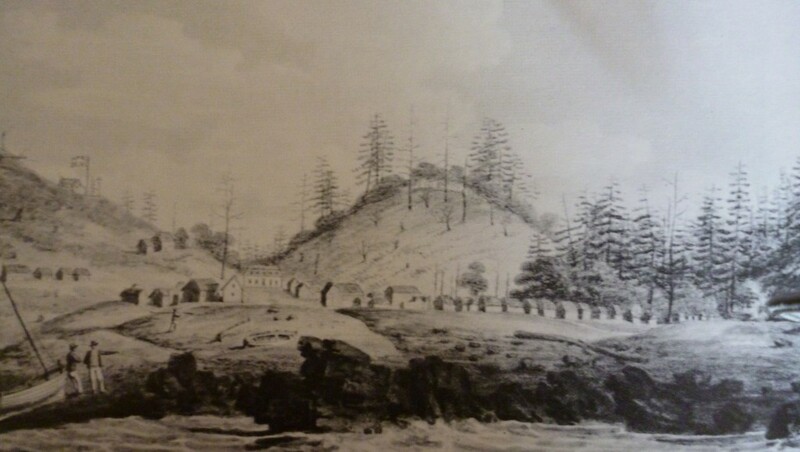 Possibly Norfolk Island Pines were growing around Port Jackson by 1800 but the first documented evidence is The Royal Botanic Gardens, Sydney, A History 1816-1985 where Lionel Gilbert states that the overseer, Nicholas Flood planted several Norfolk Island Pines somewhere in the Domain in 1812 and 1814. Dr D’Arcy Wentworth, who had been surgeon on Norfolk Island, donated a seedling of the same species, and this was planted at the intended entrance to the Government Garden at Farm Cove. 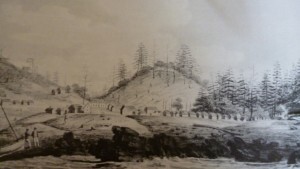 Governor Lachlan Macquarie and his aide, Major Henry Antill is also thought to have planted Norfolk Island Pines in the vicinity of the creek, when the Botanic Gardens were officially commenced in 1816. Correy also lists other species of the genus Araucaria also mentioned in William Macarthur’s Camden Park Nursery Catalogues from 1843 to 1857. 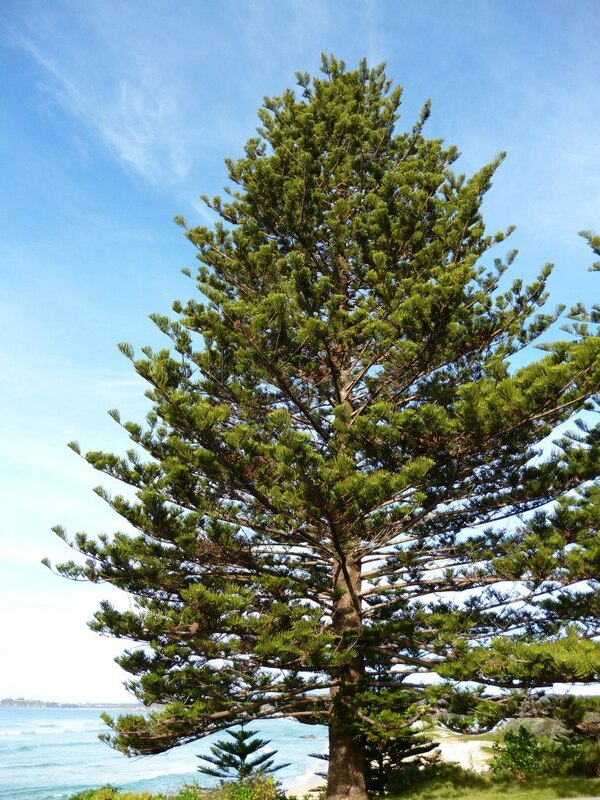 The Norfolk Island pine is listed using the synonym of A. excelsa. He concludes the article with some thoughts on why the trees were so popular for use in colonial gardens. The trees grow to a height of 50–65 m, with straight vertical trunks and symmetrical branches, even in the face of incessant onshore winds that can contort most other species. The leaves are awl-shaped, 1-1.5 cm long, about 1 mm thick at the base on young trees and incurved, 5–10 mm long and variably 2–4 mm broad on older trees. The thickest, scale-like leaves on coning branches are in the upper crown. 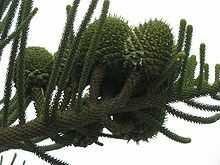 The cones are squat globose, 10–12 cm long and 12–14 cm diameter, and take about 18 months to mature. They disintegrate at maturity to release the nut-like edible seeds.